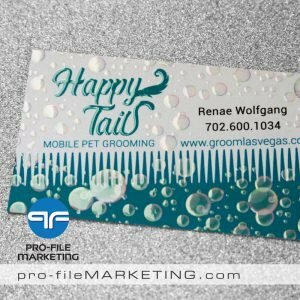 As Las Vegas business card printing company, we offer high quality business cards printed on a wide selection of stocks. 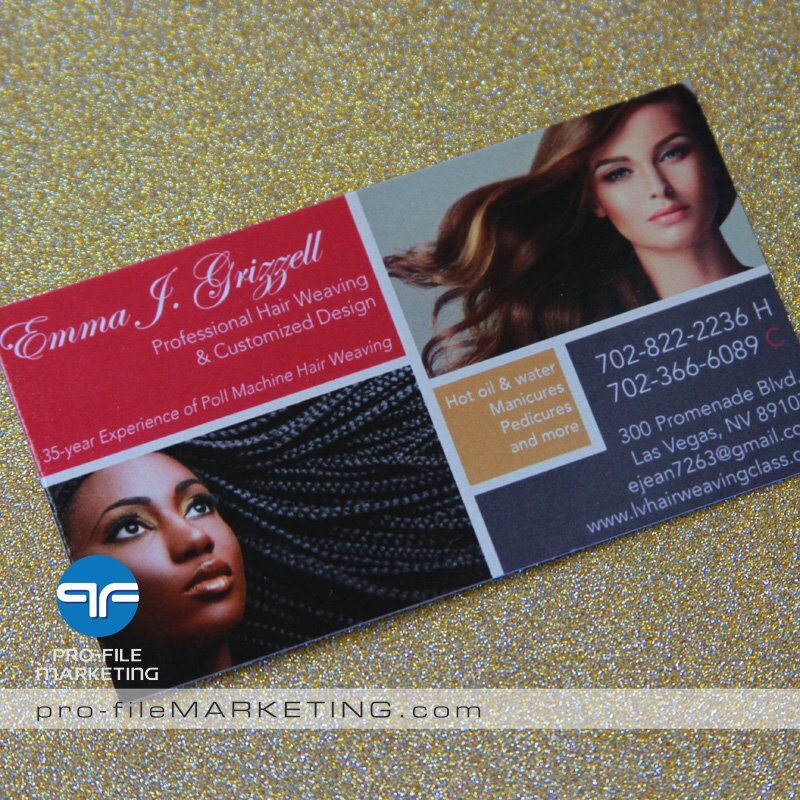 With our professional business card design service you will have one-of-a-kind card. We listen to your needs, take your ideas and design the card around them. Sometimes we make suggestions on how to improve the design to make the most of it. 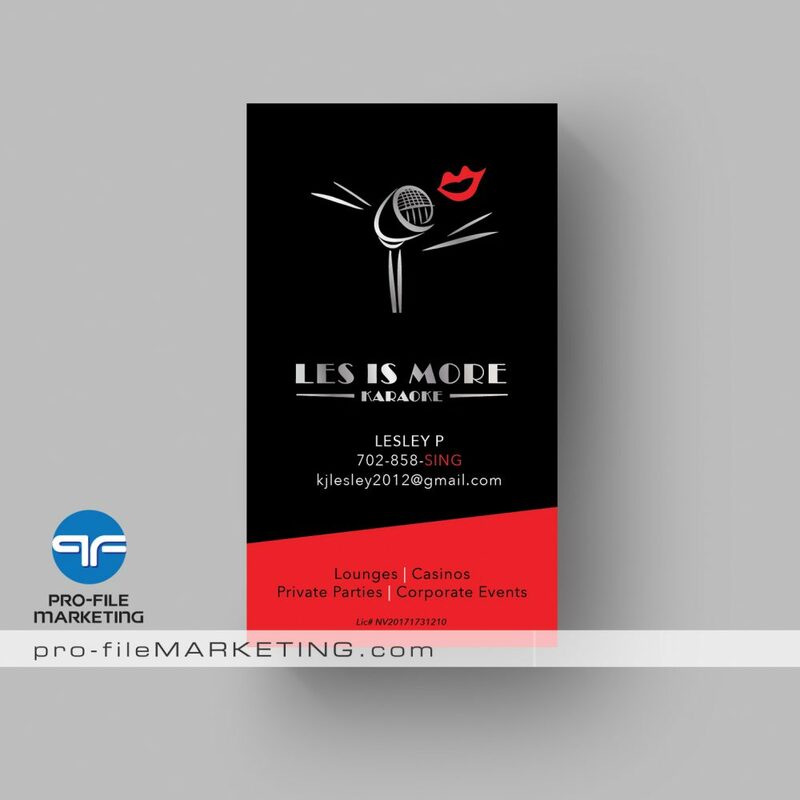 Our design skills in combination with the knowledge of hundreds of printing options allows us to guarantee that you will love the final result! 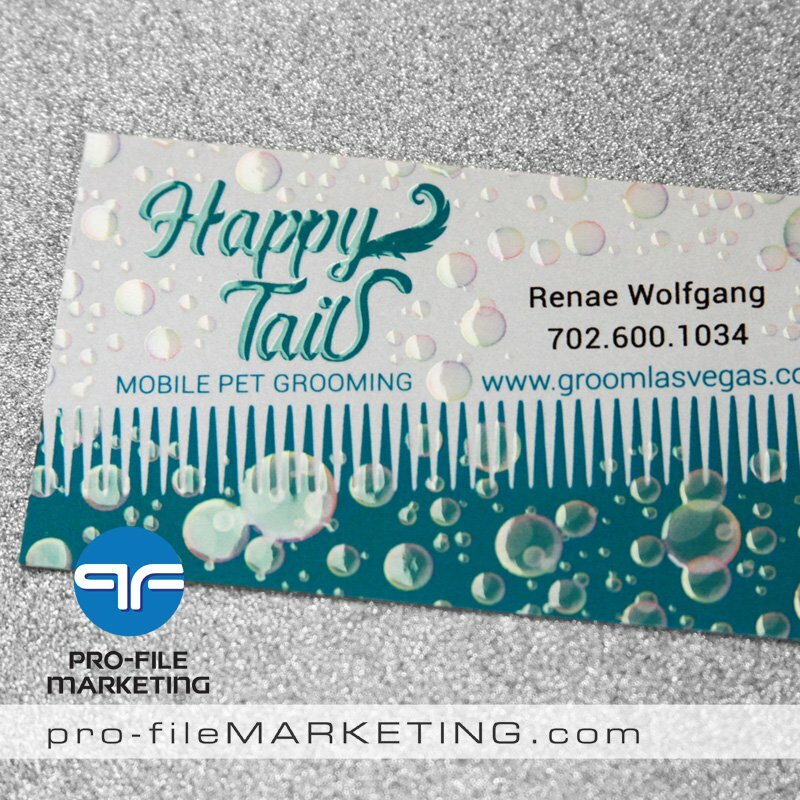 Contact us if you have questions and need assistance in choosing the right business card for you. We are available via chat, contact form below or at 866-580-1230. 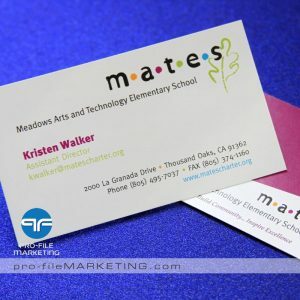 Full color business cards are the most popular, but we also offer business cards printed with spot colors, raised ink (thermal printing), liquid foils, UV-coated (high-gloss business cards), Matte-coated, spot UV coated, custom die-cut cards, business cards with rounded corners, as well as custom-shaped business cards. 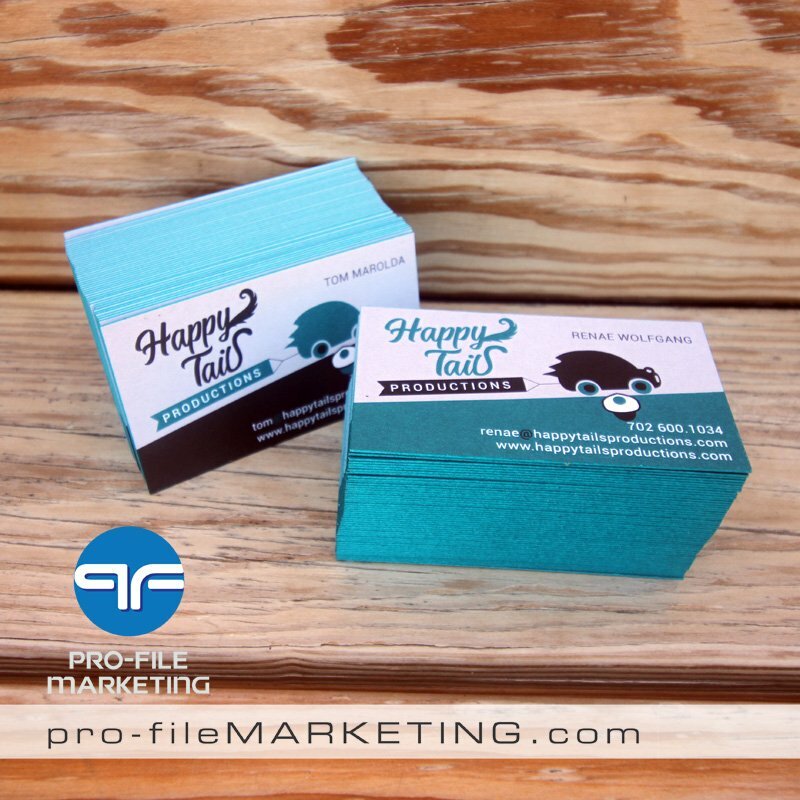 We suggest using 14 pt of 16 pt stock for your beautiful looking business cards. 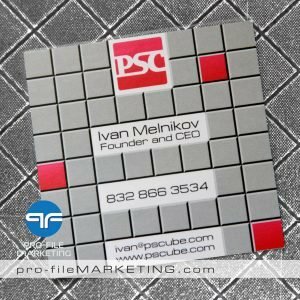 Besides business card printing, we offer custom business card design. 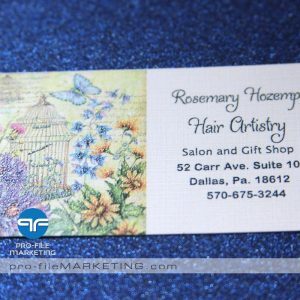 We can design custom business cards of any kind. 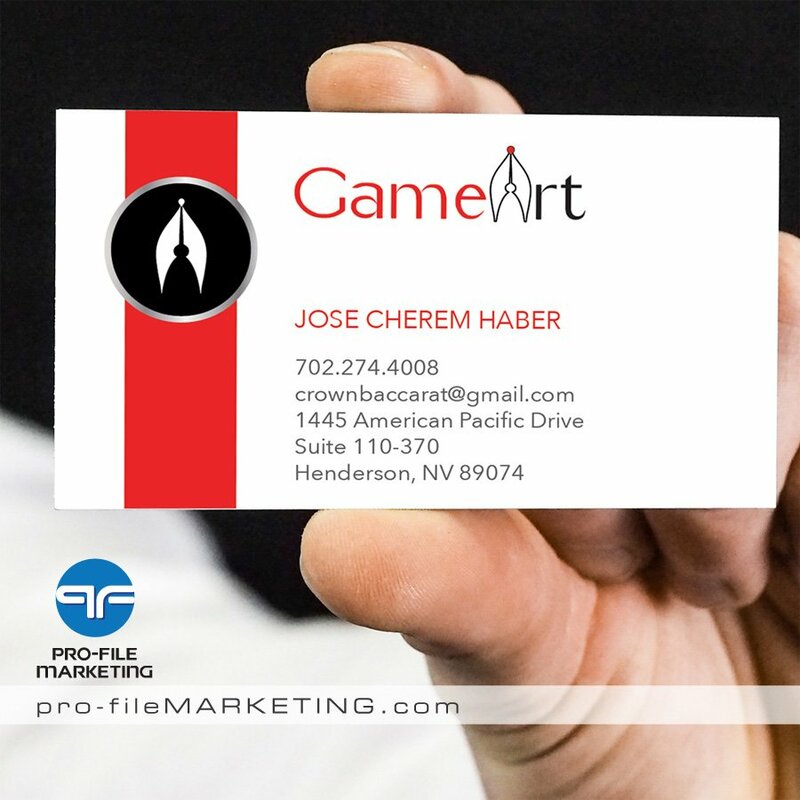 If you need a custom business card design, click the link below.